The official weigh-ins for “The Ultimate Fighter 19 Finale” take place Saturday at Mandalay Bay Convention Center in Las Vegas as part of the UFC Fan Expo. The first athlete is slated to tip the scale at 4PM ET/1PM PT. 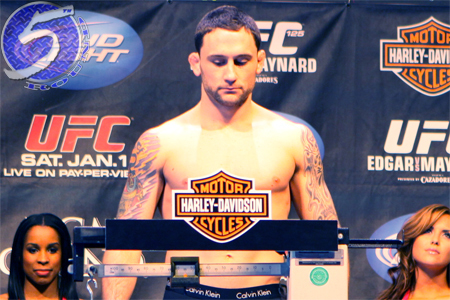 A trilogy between Frankie Edgar (pictured) and BJ Penn headlines the festivities. In addition, the TUF 19 light heavyweight finals and TUF 19 middleweight finale will go down. The winner of each tourney will take home a six-figure UFC contract.